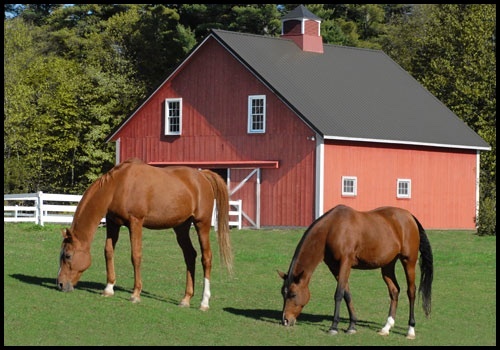 Are you looking for an estimate on your future Horse Barn Building Project? At CWB we know Horse Barns. We have staff members who are not only experienced with building barns but also have many years of experience in the horse industry that include breeding, training, and showing horses. We will combine our knowledge and experience with your particular concerns to design and build a custom horse barn built just for you. 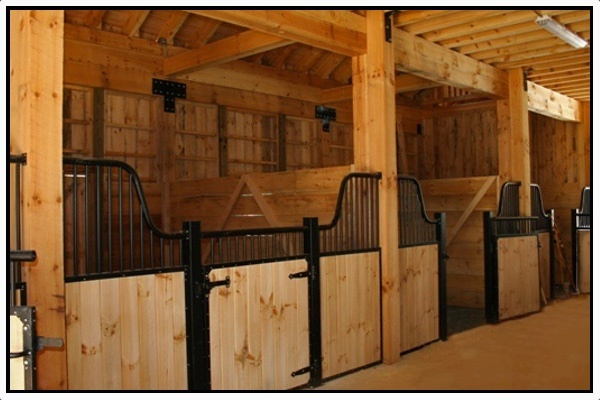 When you talk horse barns, we know what you are talking about. We will work with you every step of the way to understand the purpose behind your horse barn in order to provide a custom designed horse barn that matches your needs along with your horse’s care. Individual style and functionality are all taken into consideration when we present a custom horse barn solution to our customers. You will have the option of having “State-of-the-Art” manufactured stalls and stall fronts of your choice or, if you are a little more price conscious, you can choose “site built” stalls constructed of 2×6 tongue and groove lumber that will last a lifetime. Whether you are just needing a run-in style barn for your family horse to get in out of the weather, a center aisle barn with a tack and feed room or you are building a complex equestrian breeding/training/show facility complete with wash bays, offices, living quarters, and covered arena, your search is over, we can help you fulfill your dreams.